The story begins when high school student Kazuki Muto is killed one night saving a mysterious girl from a monster, only to wake up in his school dorm, believing it to have been a dream. However, he soon finds out that dream wasn't a dream at all when a giant serpentine monster attacks him and his sister. Tokiko Tsumura, the girl he saved, explains that the monster is a homunculus. Kazuki had been attacked and killed by it when rescuing Tokiko. However she, feeling responsible for him, revived him by placing a Kakugane medallion in his chest, serving as a replacement heart. 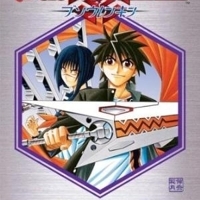 964 users rated Buso Renkin [TV].